Dodge Grand Caravan Gas Mileage - Pleasant Surprise For The Money Paid! The best way to find a good fuel efficient vehicle is to comparison shop by brands. For instance, if you are in the market for a new minivan, comparing models is a great way to determine which brand separates itself from the rest of the pack. When looking at minivans, chances are you will come across a group of different models including the Toyota Sienna minivan and the Honda Odyssey Touring. One brand in particular to look at is the Dodge Grand Caravan as it offers impressive gas mileage for its size and price. The Dodge Grand Caravan gas mileage is excellent as it offers drivers 25 highway mpg. This is a great benefit considering its size and all the other features it gives drivers. 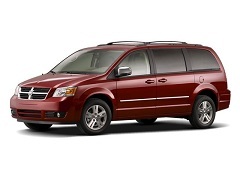 Another factor to consider when looking at the Dodge Grand Caravan gas mileage is the distance it can run on one tank. This will determine how often you need to go to the pump. Luckily for drivers, this model can run up to 500 miles on a single tank, which means you can take it on long trips without frequent stops for gas. When comparing the Dodge Grand Caravan gas mileage to others in its class, it holds up well. Depending on the Sienna model you look at they get 24 to 25 miles per gallon on the highway. Meanwhile, the Touring does a little better on the highway averaging 28 miles per gallon. Even though the Touring does have the better mileage, the difference is negligible. Ultimately, for its size the Dodge Grand Caravan gas mileage is impressive. It holds up well to other models in its class and with a big tank, families won’t have to worry about going to the pump as often. When investigating the best in fuel efficient mini vans, families should consider the Dodge Grand Caravan a viable option.